Address: 15018 Aruba Dr. 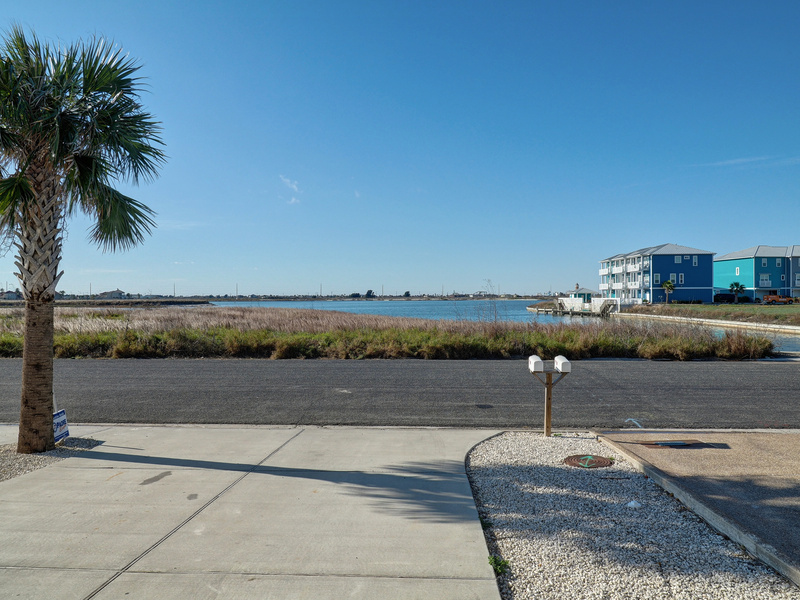 Location: Corpus Christi Type: Duplex View: Water View Area: 1858 Sq.Ft. COMPLEX/COMMUNITY Aruba Beach Getaway is one of two sides in a stand alone duplex in the new Leeward Bay subdivision. 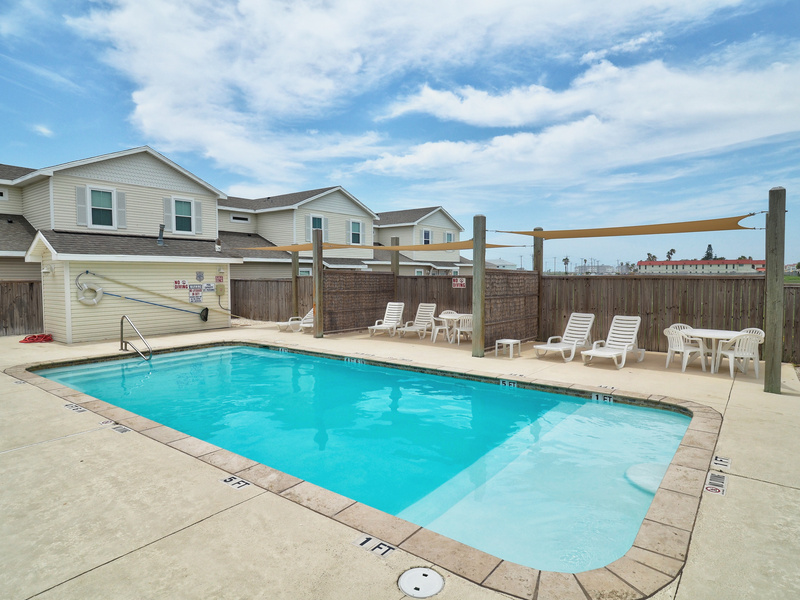 By itself Aruba Beach Getaway is one of the best four bedroom properties on North Padre Island. It's part of the Leeward Bay subdivision but sits completely away from the rest of the townhouse units. 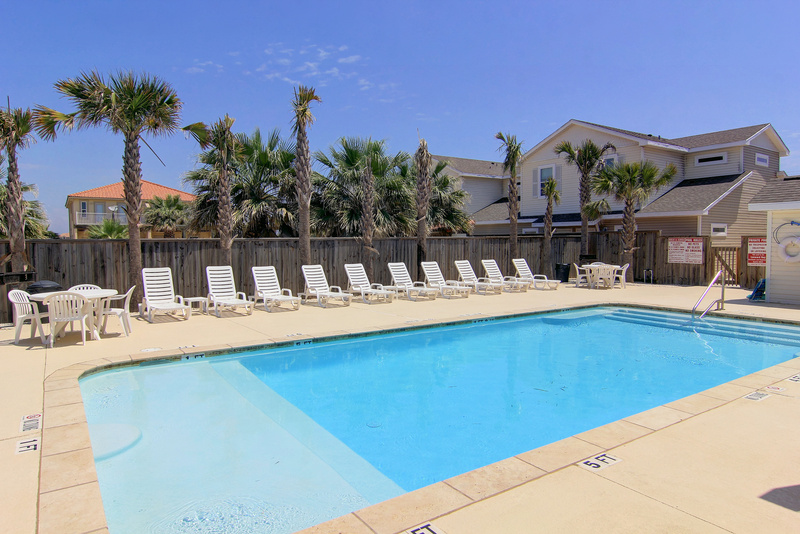 Guests will enjoy a shared saltwater pool that is right outside your back gate, it's also heated for year-round enjoyment. Multiple grills and reserved parking are also provided for every property at this complex. 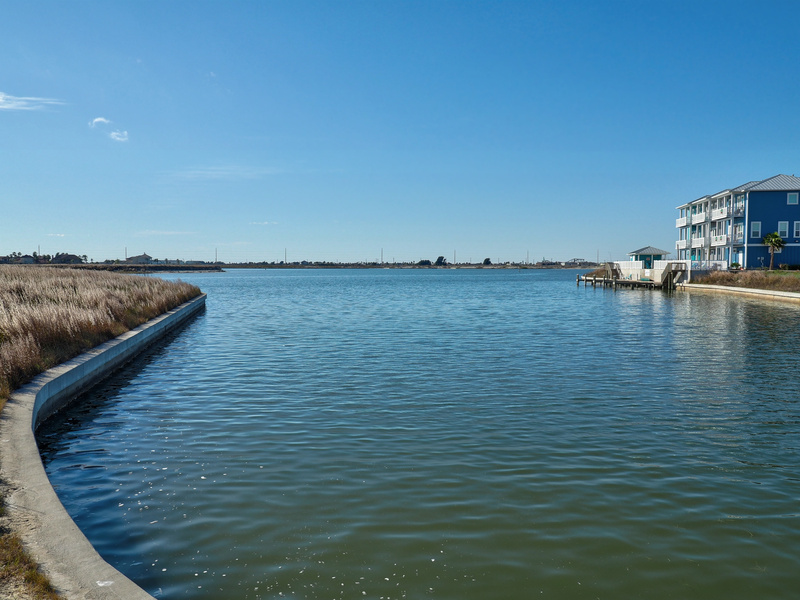 You'll be a short walk away from the beach and the All New Schlitterbahn Water Park is just around the corner. Numerous restaurants and tourist shops are just 2 miles away and numerous area attractions are within a short drive. INTERIOR As you step in the front door you'll be greeted by custom wainscoting on the walls and vinyl wood flooring that give this property the beachy vibe you've been looking for. The kids and adults will love the two separate entertainment areas (upstairs/downstairs) that gives each of them the flexibility and privacy they appreciate while on vacation. An open floor plan combines the kitchen, living and dining area on the first floor, creating an inviting and expansive area for bringing everyone together. 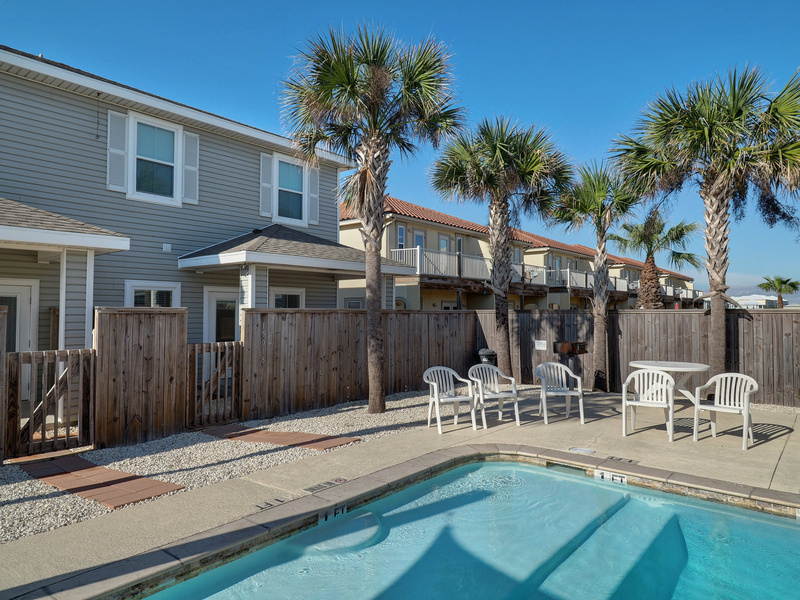 From here you can step outside onto your private patio and watch the kids splash around in the heated pool or use one of the poolside grills to cook up dinner. For those who don't like stairs there is also a master bedroom with a king size bed and private bathroom on the first floor. 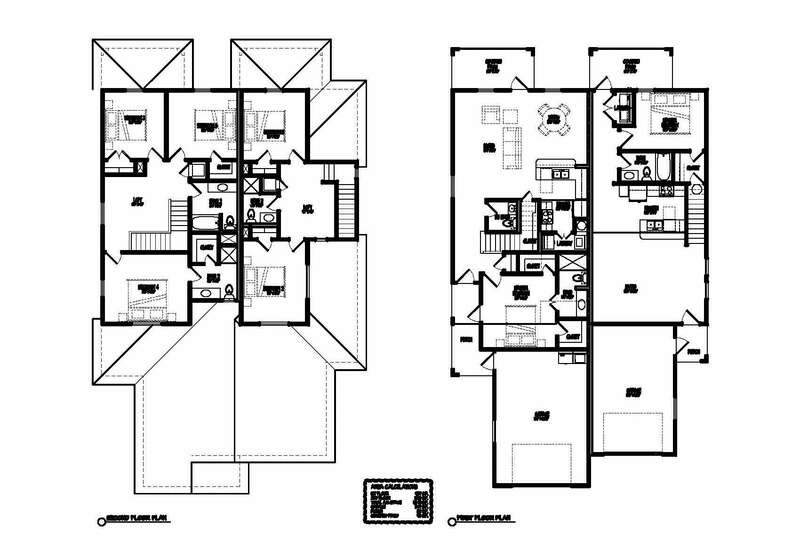 Upstairs you'll find the second smaller living space as well as a master bedroom and two guest bedrooms. Each guest bedroom has a comfy king size bed while the upstairs master bedroom is setup with two queens and a private bathroom. There is a full size futon available upstairs and a queen size sleeper sofa downstairs and two twin size roll-away beds with memory foam mattresses to sleep a total of 16 guests. The list of other features included are a fully-equipped kitchen, TV's in every bedroom and both living areas, 2 DVD players and your own private WiFi network. For a Virtual Tour of this property CLICK HERE The garage space is not available however additional storage space is available on the fully fenced-in back patio and along the partially fenced walkway leading up to the unit. This property requires a 2 night minimum during off peak season and a 3 night minimum during the summer season. Linens for every bed and bath towels for every guest are provided. Together both sides of this duplex will accommodate 32 guests with a total of 9 bedrooms and 6.5 bathrooms. IF YOU'RE LOOKING TO BOOK BOTH SIDES OF THIS DUPLEX PLEASE CALL PADRE ESCAPES' OFFICE. Great property that easily accommodated our whole group. Comfortably furnished and very clean. Wish we were still there. Spacious enough for our whole family. Close to the beach. Nice pool. Clean with all the comforts of home. Pool was really crowded except early in the morning. Could have used a broom to sweep the floor and keep it clean. Dryer didn't work very well. Towels were new and never washed resulting in white lint all over our bodies. Other than the those things it was great. Would definitely stay again. The property is very nice in the pool is located extremely close. If I had any concerns the one concern would be that the air conditioning is governed at 73° There are only two spots in the driveway for parking but the across curb is an empty field perfect for large groups. The price and location are right my only gripe is the air conditioning. With the constant in and out of a normal vacationing group it can be a little bit uncomfortable. There is a governor but it's not set at 73 it's set at 70. After I received your review I went back and double checked the the governor on the thermostat and is definitely set at 70. Sorry for any confusion. We hope you stay with us again next time you're in the area. The space and layout worked well for our family reunion. Loved the pool out the back door. We had 3 generations of family (11 of us)that ranged in ages from 68 to 2 yrs old. It was perfect! The home is modern. It was a great location to everything. We can't wait til next year to stay again. I see MANY summers at this condo. We had 3 things - dryer took a while to dry , wifi wouldn't connect, and couldn't find a broom. I'm sure if we would of called someone would of taken care of it. we were too busy at the pool, beach, and schillterbaun so wasn't a big deal for us. Plenty of room for my family with enough towels and blankets. Highly recommend for a large family. My experience with Padre Escapes has always been a pleasant one. The staff are awesome from beginning to end. I had a few questions after making my reservation online and the customer service is spectacular. They never make you feel as if you are asking a dumb question. I have already started planning my next trip and I guarantee that Padre Escapes will be my "go to" from now on!!! The vacation and stay in Corpus was great. We had a family get together with kids and grandkids from all over. The house was as described and plenty of room and beds for everyone and all enjoyed being together. The beach was just around the corner and you could drive right on and enjoy your day. Bring plenty of sunscreen. We cooked hot dogs on the beach found seashells hermits crabs and just relaxed with the kids. The beach was very clean and some that weren't to tired from the days activities went back in the evening and cooked marsh melows. Other activities were a visit to the Lexington and aquarium. kThe pool was another relaxing place and all enjoyed it. Overall we were completely satisfied and the Padre Escapes stayed in contact and made check in and out very easy. We had 6 adults and 7 kids under the age of 10. Aruba Beach Getaway was a fantastic house option for our group. There were 4 bedrooms so we were able to divide up the group according to ages and sleep needs. There was plenty of bedding for everyone. The beds were comfortable (except the futon in the loft--our 10 yr old said it was a bit lumpy but we never actually laid it out flat). I was impressed that there were enough dishes to serve everyone at every meal and even enough pans to cook with. We stayed 3 days/2 nights and ended up cooking 4 meals there and the kitchen was very accommodating. The only problem was there were salt and pepper shakers in the cupboard so we didn't buy or bring any seasoning and when we pulled them out to use them they were both empty. There were plenty of bath towels but not enough kitchen towels--with lots of little ones there were a lot of spills. The pool was amazing. The location to the beach was perfect--walk or drive there. It really was a fantastic house and we'd highly recommend it to anyone! I apologize for the inconvenience of the salt and pepper shakers. Texas state law does now allow us to leave any food products, including spices, between stays. Glad you enjoyed your stay. Hope we see you back again soon. Location great but condo was not appointed well with very few décor and not very clean especially linens that were soiled and shower curtains with mold in several showers. We apologize for the issues you experienced. We will be sure to get those taken care of ASAP. Thank you for the feedback. We had a great time at this beach house. Loved that there was a heated pool for the kids. It is in a perfect location even for the men that went out fishing to the Pier. We will return in the summer. We had a great time! The place was very accommodating and very clean. We will be back! We had a great stay in your rental. Located perfectly for our vacation and getting around town. The only issue we had was with the AC unit. Had a hard time keeping the temp down being that it was pretty **** hot outside. Called the main office and we were told not to mess with it because the unit will freeze up. That's a good one to me. Thank you for the feedback, you did mention you were short those few items but we did you get them to you right away. Sometimes guests will book both sides of the duplex and moves items between properties. We'll check on that dryer as well. This is the first we've heard of it being an issue. We had a great experience. There were 6 of us and we fit very comfortably in the home. Padre Escapes made it an easy transaction. The location was good and the property is in great shape. I think you could walk to the beach, although we were there for work and didn't have time. There was a nice pool out back that the community shares. Overall we were very happy and will definitely consider staying here, or with Padre Escapes, on our next visit. Great to hear you all enjoyed the property. Hope you can come back down and enjoy it when you're not working sometime. Thanks for the feedback. Aruba Beach Getaway is the perfect vacation rental. 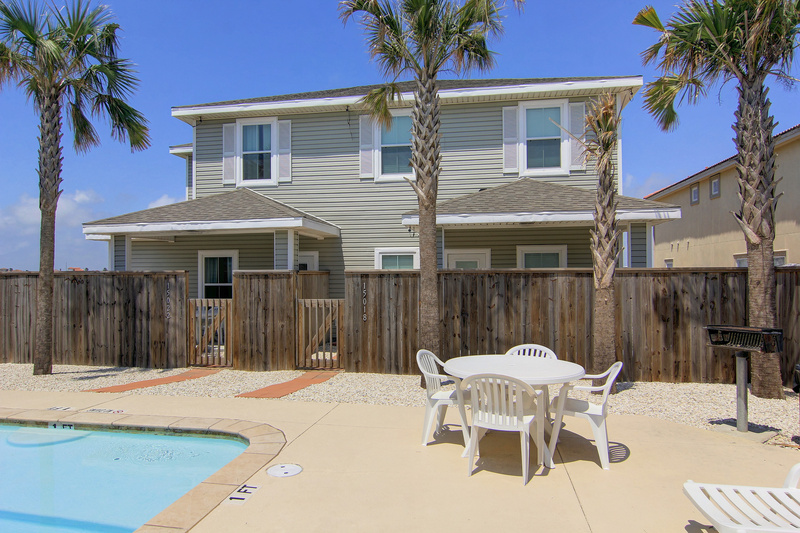 Enjoy this Beautiful condo with the family or a group of friends! I noticed you guys put you would not recommend this unit to others but I'm guessing that was an accident since you rebooked for next year already! Thanks, we're looking forward to having you back! It was a great place for a home away home. Enjoyed thoroughly the 7 nights stay with family and friends. New house with swimming pool access and walkable distance to the beach. Definitely would recommend!! The house was very clean and inviting. 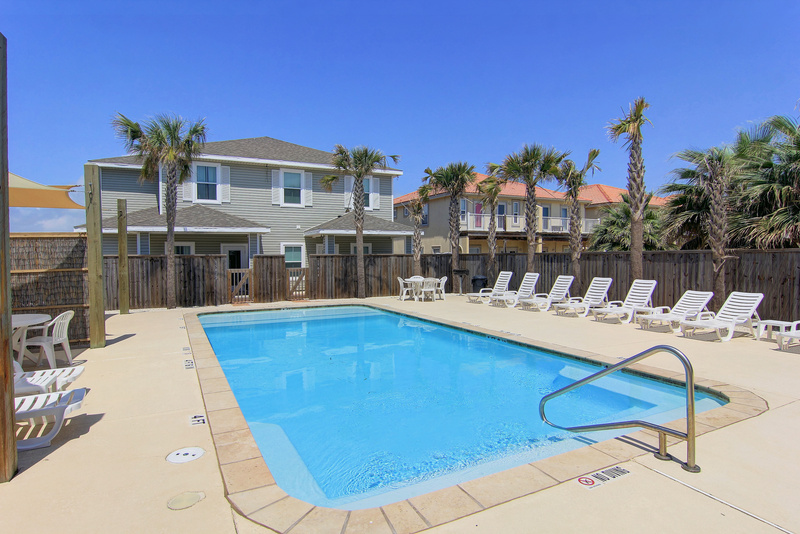 The beach is in walking distance and the pool is right outside the back gate. The only negative was that the pull out couch bed was broken but we just folded it back up and a teenager slept on it as a couch instead of a bed. Thank you for the feedback on the sleeper sofa. We'll get that checked out and addressed. We used both sides and that is perfect for a large group - there were 17 of us, but it comfortably sleeps 22 on beds plus there is a futons and sleeper sofa in each unit - so can sleep up to 28. There is one bunk/trundle that sleeps 4, the other 9 are double, queen and king. It is a new property (2014), so is still in really good shape - very clean. 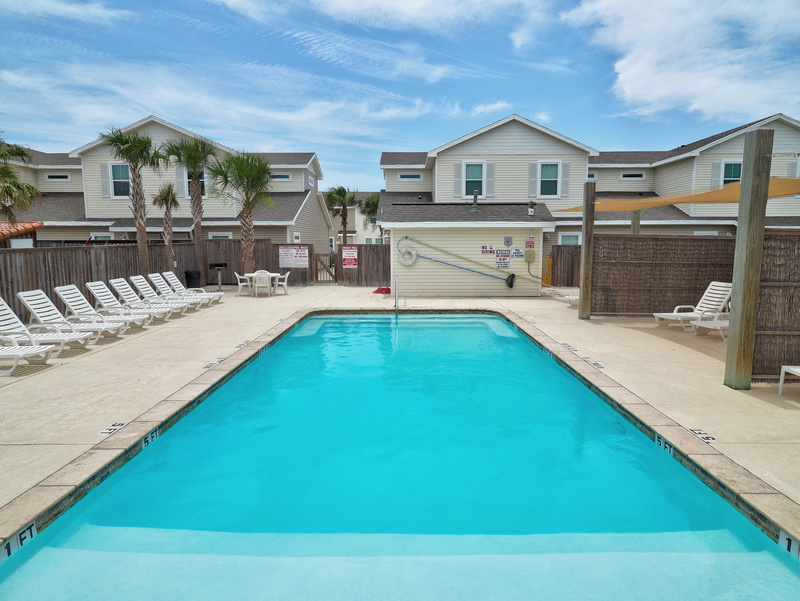 There is a pool right behind the units that is shared by others in the area, but it is pretty big. It is within walking distance (2 1/2 blocks) of the beach and there is a large parking lot immediately adjacent to the beach. Lots of places to eat close by and the Schlitterbahn is about a mile away. Loved the fact that the kitchen/living area is downstairs. We will definitely be back. My husband and I and our children came to Pardre Island for Christmas. There were 16 of us. We rented the whole house. It was amazing. The pool was a sure hit for the kids. To be able to walk to the beach was so good. We did all kinds of different things, riding along the beach on golf carts, dolphin watching and so much more. We cooked Christmas dinner for all 16 of us. There was plenty of room. We made so many new memories. Great to hear your family enjoyed their time together! This is the perfect property for that just that. Hope we see you back again soon. We stayed on the larger side of this beautiful duplex. 5 adults and 5 children . The property was clean and very comfortable. 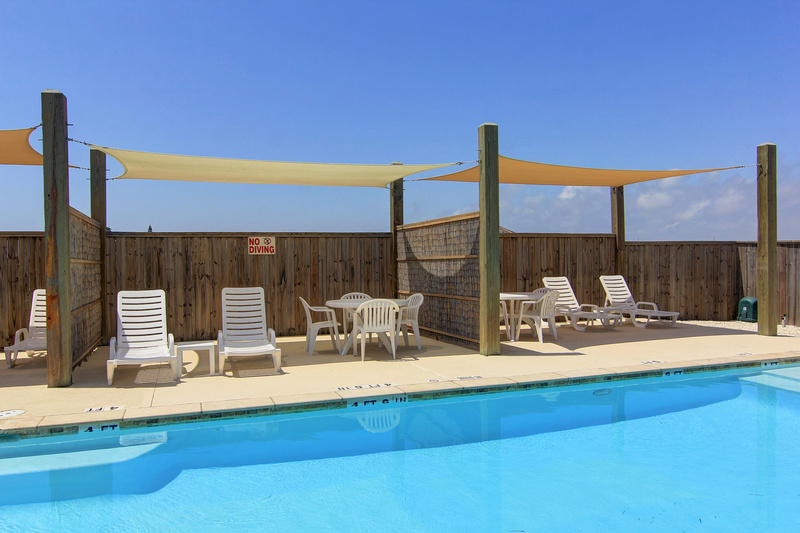 The close proximity to the pool as well as the beach was a real plus. Our family hopes to return next year. I would definitely recommend Aruba Getaway!!! We rented there entire Aruba Beach Getaway. It was perfect for our large family. It was clean spacious and close to the beach. It was a great location and really close to attractions. House was amazing! Had everything available that we needed to live for the week. The renting staff was great to work with. House was clean, beds were amazing, and the best part was the swimming pool out the back. Other than having to share the pool it was an amazing vacation!! 2nd time staying at this property. Everything was great as usual. Plenty of room for our party of 8. Company is always very friendly and accommodating. Will very likely be staying again in the near future. Everyone had a great time - grandparents, children and grandchildren. This house was exactly what we were looking for. It was great to have three king sized beds, full size washer and dryer, and more than enough dishes, etc. in the kitchen. The concrete floor downstairs is difficult to clean which was particularly noticeable with small children.The pool is so close that the baby monitor worked during nap time. The management company was very professional - perfect amount of communication prior to visit. Great to hear you all such a good time. We do know about those concrete floors downstairs. They've taken a beating particularly in the kitchen this summer. We're going to have them stripped and refinished after the summer season. Thank you for the feedback, hope we see you and your family again soon. It is very difficult to find a house/condo for a bigger group of people. It is even more difficult to find a place with separate rooms for adult couples to stay. This house had everything we wanted, the location was great being next to the pool was very convenient, and staff was easy to work with. Definitly would stay here again. We had a few snafoos but overall our trip could not have been better!! Perfect accommodations! Perfect customer service!! We will be back again!!! Great to hear everything worked out. Hope we see you back again soon. Stayed in Feb 2015 for 3 nights. Rates were excellent value, don't know how I ever stayed in hotels before. Staff was extremely friendly and .helpful from booking to check out. Home was amazing, holds up to 12, our 8 were very comfortable. Location was great, short walk to the beach. We even lucked out on the weather. Just overall great experience, Have been referring everyone I've talked to. Will definitely stay again. Great to hear you enjoyed your stay! Thank you for the referrals, we look forward to having you back! the experience was great, just a few things that could have been better, having access to the garage would help in storing the ice chest and canopies etc, also having more towels in the condo, and finally the pool was very crowded on Friday and Saturday night. We rented this condo for our family when we came to our son's Navy winging ceremony. We had 8 sleep there...plenty of room for that...and had a gathering of 16 for the after-winging celebration. It is a beautiful condo, very clean, plenty of open space, perfect for our gathering. We were also able to easily walk to the beach and enjoy a relaxing stroll after the festivities. There was plenty of room, and very clean. The only complaint I have is the dryer took 3 cycles to dry. Also, all the extra towels were in the upstairs master- it would be beneficial if extra towels can be placed in each restroom. Also, the Netflix on TV didn't work. However, I would stay again. Thank you for your feedback. We will have that dryer checked out along with the Netflix but I believe that is something you have to sign into with your own account, it is not provided. Thank you again for your feedback. Great location. Very close to the beach. Plenty of room and amenities. Very clean. I would definitely stay at this rental again. Really nice place to stay! 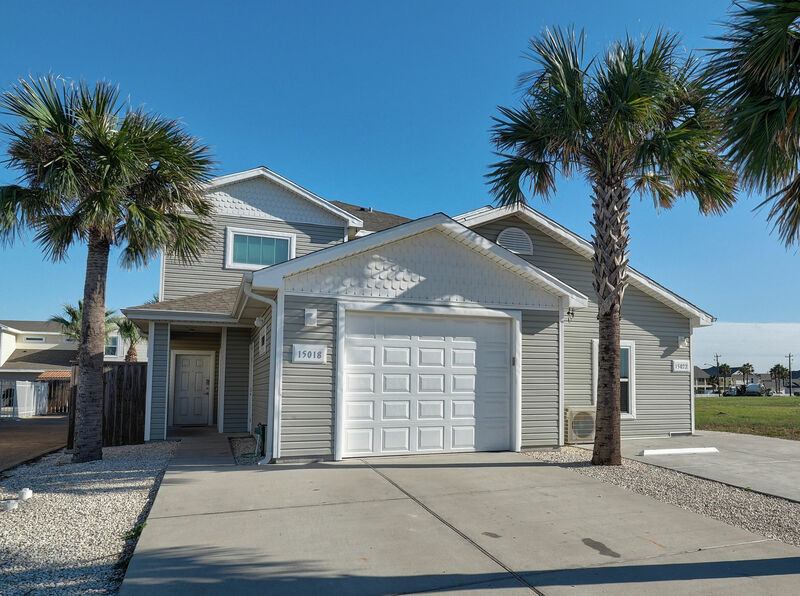 Enjoyed being close to the beach, having privacy, having the canal right out front to fish at, having the pool right out back and really enjoyed the comfy beds! Nice furnishings. Well-stocked kitchen. Only thing we regret is not bringing more people and renting out both sides of the duplex. We'll definitely do that next time. Thanks Padre Escapes, can't wait to come back!